Promoter Collective Minds will usher one of 2018's breakout artists Mac Ayres to Singapore. In the crowded space that is the SoundCloud, the self-taught New York singer and producer has lit up a lane all his own. On his 2017 debut EP Drive Slow and its 2018 full-length follow-up Something to Feel, he showed how the juxtaposition of quivering emotion and luxe, hyper-sensual production could make for a deeply fulfilling experience. In March, he will hold court at the Kilo Lounge for the Singapore leg of his Something to Feel Asia Tour. You can count on him delivering on his charms at his first-ever live showing here. 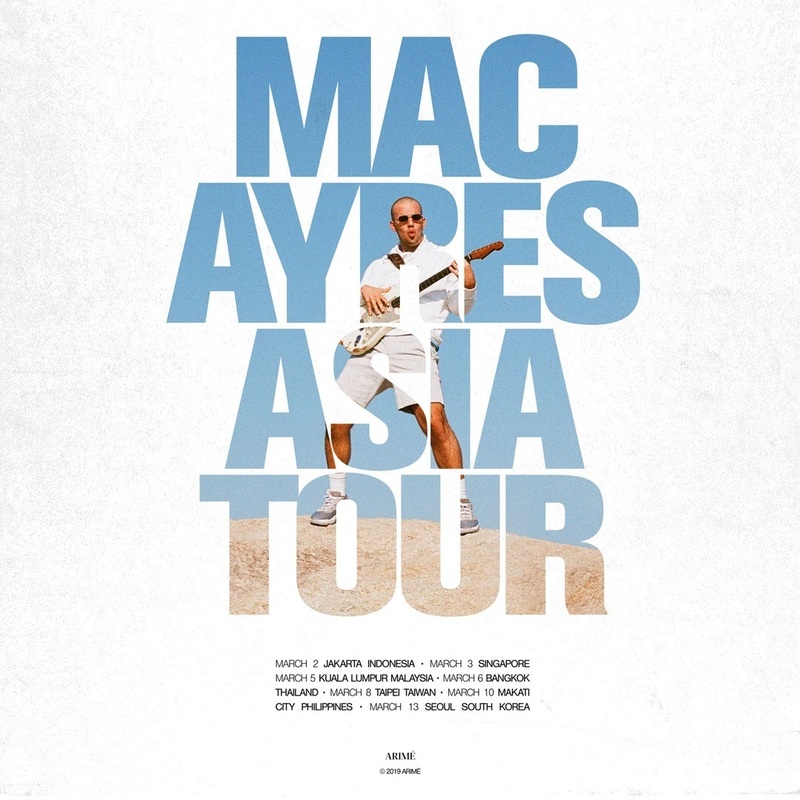 Catch Mac Ayres live in Singapore on March 3 at the Kilo Lounge. More details and ticketing information are forthcoming.